How Much of Great Britain is Built On? Is Britain overcrowded? This issue seems to come up every time any new build is proposed, or how many people live cramped in big cities, or urban sprawl is the subject of more complaints. 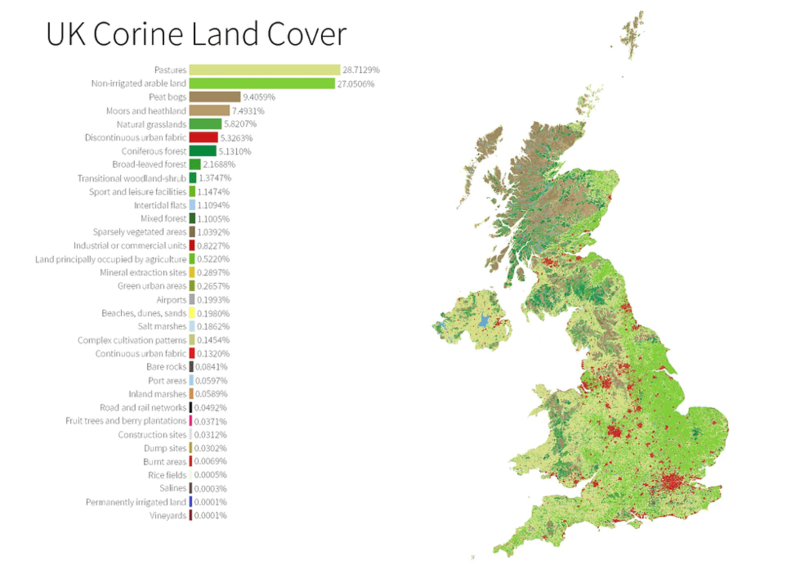 There is a large amount of land in the UK, but how much of it is actually built on? In this article, we discuss exactly how much of the UK’s land is built upon, and how much more could actually be made. The simple answer is that very little of Britain is dedicated to buildings per se – just a small percentage of UK land, according to EU data from 2015. But what precisely counts as a building, homes, and even ‘land’ is a debatable matter. To try and explain the nuances of the issue of UK’s land use, we have written this guide. How much of Britain is built upon? For most of history, to work out precisely what land was used and for what purpose, individuals had to be sent out across the country (typically by the government or their taxing representatives) to evaluate how much land one owned, what it was being used for and whether it was built upon. This meant a lot of information was incorrect due to honest mistakes, lying tenants or corrupt officials – not to mention vast swathes of black across maps where surveys simply could not be done because of the jagged terrain or areas where the population was too sparse and inadequate to justify sending someone to survey and tax them. This changed in the early twentieth century with the invention of planes, and not soon after, aerial photographs. The cost of sending individuals to survey the whole of a country was cut by significant amounts thanks to this technological breakthrough – where ground surveys would take 100 years of manual effort, aerial photographs would take just a year and a half. In 1985, that changed again, when the Commission Interministérielle des Comptes du Patrimoine Naturel in France began using satellite data to start preparing land cover inventories of large areas. They examined the new technology they had access to and began comparing the costs of using different technology and partnering with different countries to do research. Eventually CORINE – Coordination of Information on the Environment – was set up to record how land is used and changes over time. CORINE records how land is built on in EU countries. It breaks down land use into different categories –this is where defining ‘built upon’ is difficult. Areas of ‘continuous urban fabric’ (CUF) describes heavily-built on areas and ‘industrial and commercial units’ describe non-residential land use. By contrast, ‘natural’ land is understood as moors, peat bogs, lakes, and other areas which must be understood as areas ‘not built upon’. However, what about ‘farmland’ – places like pastures, vineyards, orchards? Or ‘green urban’ spaces like football pitches, parks, golf courses, and so on? Hyde Park is certainly ‘built upon’ in one meaning of the term, but it is unlikely people will complain that Hyde Park has been ‘built upon’ to preserve the green urban space. CORINE uses 44 different categories to break down land use into a spectrum of examples. Depending on what we count as ‘built upon’, somewhere between 0.1% (just counting CUF) and 10% of British land can be reasonably said to be built upon. This might seem like just a few percentage points, but it also means people can disagree by a factor of ten about how much land is built upon in Britain while still making a somewhat reasonable case. For example, the Ordnance Survey looks specifically at buildings in the UK – houses, shops, factories, and so on. They give a figure between 1.5%-2% of the UK is covered in buildings. This figure does not include larger gardens or other ‘green urban’ spaces, but can give us another idea of the amount of the UK that is build on. By contrast, the University of Sheffield last year released data saying that the figure is above 6%, four times higher than Ordnance Survey figures. This changed in the early twentieth century with the invention of planes, and not soon after, aerial photographs. The cost of sending individuals to survey the whole of a country was cut by significant amounts thanks to this technological breakthrough – where ground surveys would take 100 years of manual effort; aerial photographs would take just a year and a half. In 1985, that changed again, when the Commission Interministérielle des Comptes du Patrimoine Naturel in France began using satellite data to start preparing land cover inventories of large areas. They examined the new technology they had access to and began comparing the costs of using different techniques and partnering with various countries to do research. Eventually CORINE – Coordination of Information on the Environment – was set up to record how land is used and changes over time. For example, the Ordnance Survey looks specifically at buildings in the UK – houses, shops, factories, and so on. They give a figure between 1.5%-2% of the UK is covered in buildings. This figure does not include larger gardens or other ‘green urban’ spaces but can give us another idea of the amount of the UK that is built on. By contrast, the University of Sheffield last year released data saying that the figure is above 6%, four times higher than Ordnance Survey figures. Source: University of Leicester, The Centre for Landscape and Climate Research and Specto Natura and supported by Defra and the European Environment Agency. If you are fortunate enough to own a property in the City of London, CUF makes up 98% of your surroundings – the highest place in the country by a significant margin. The City of London only makes up around 0.1% of the whole of Britain though and is not representative. While 83% of us live in urban areas, most local authorities have more unbuilt upon land than otherwise. The University of Leicester in 2017 published a detailed analysis of each local authority in the country using CORINE data to demonstrate this. 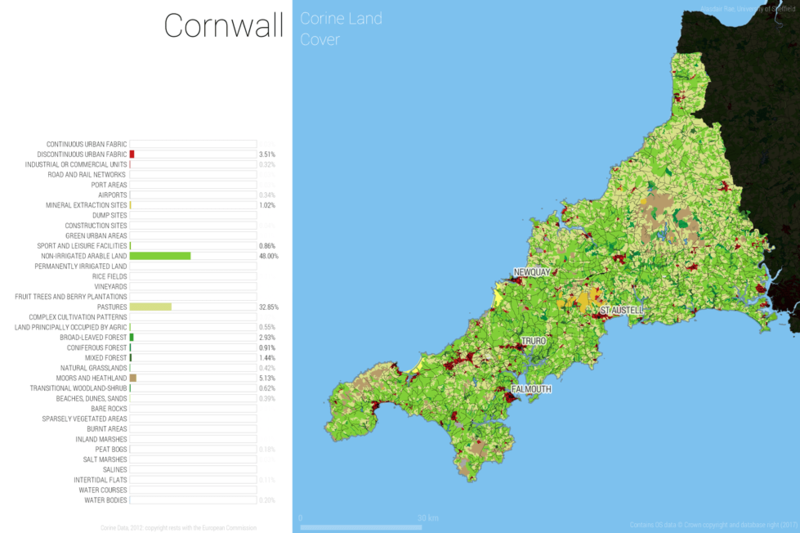 If you live in Cornwall, for example, just 3.5% of the county is urban fabric, none of it continuous. If you live in Devon, with the exceptions of Exeter, Plymouth and Torquay, urban sprawl is highest in Taunton Deane at just 5.4%. 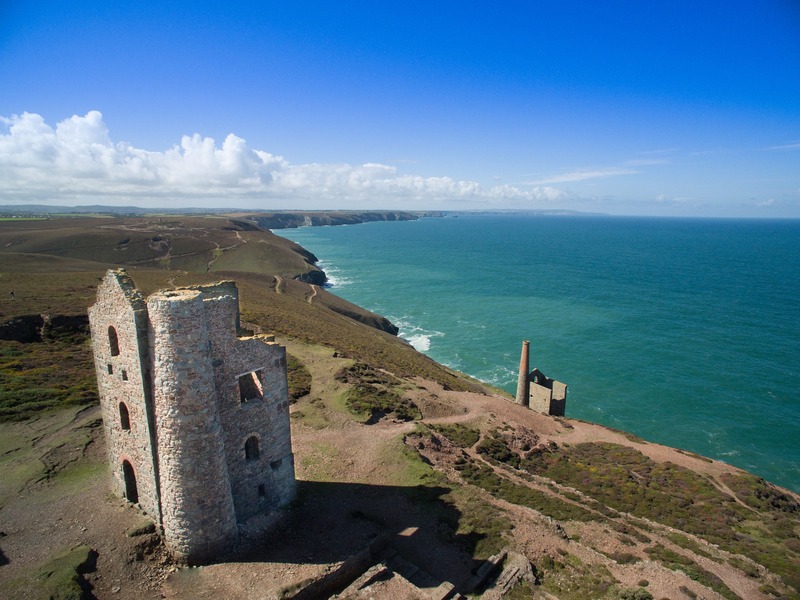 Unsurprisingly in large towns and cities the figure is higher, but these areas are also tiny – while Torbay has an urban fabric of 65%, it can fit more than seven times into Taunton Deane and almost 57 times into Cornwall. In short, there are a lot of buildings and urban sprawl in cities, unsurprisingly, but in the South West we have a massive amount of land that is not built upon. Even as planning permissions peak in Great Britain, it can still be hard to get permission for new builds or extend your existing property despite all the land that seems to be available. There are many reasons why land ought not to be built upon other than for preserving the aesthetic beauty of our rural spaces. The most prominent is that a lot of land is currently used for agricultural purposes: 29% of Britain is used for pasture, and another 28% is non-irrigated arable land used for rearing certain kinds of crops. Ignoring the issue that this land is privately owned and cannot be built upon without permission, agriculture provides many benefits for Britain including preserving our farming heritage, the security of national food production, prevent soil erosion and farmers’ role maintaining beautiful rural areas. A lot of British land is also designated Areas of Natural Beauty or Sites of Specific Scientific Interest, which makes up 30% of land in the United Kingdom. These areas cannot be built upon easily so as to maintain the benefit to research and culture these parts of Britain bring. 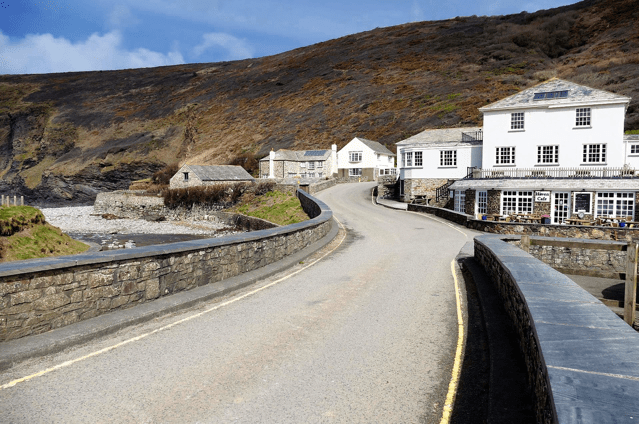 More generally, you might not be able to build on land if it would hinder nature conservation – this is an objection not infrequently raised to planning applications in Cornwall, especially rural parts of the county. Green Belt land also restricts building developments. It is a common misconception that there is only one Green Belt: in fact, there are dozens, with 13 are in Scotland and 30 in Northern Ireland, and one in the South West. Green Belts stop cities spreading and merging into each other and preserve historical areas as well as protect the local environment. In total, Green Belts make up around 13% of land in Britain and limits developments further. Additionally residential, commercial, and industrial builds all need infrastructure to support the construction so as to be sustainable. A simple example is that you need large spaces for roads to be built in order to sustain other buildings. This particularly in the short run limits a lot of land being built upon in rural areas like here in the South West. Finally, some land is ‘built upon’ but still preserves green spaces, called ‘green urban spaces’ or ‘open spaces’. National parks, golf courses and playing fields are obvious examples, but also open-planned university campuses or trading estates typically tie in green urban space to their designs as well. This land might not be seen as ‘built on’, but certainly is unlikely ever to be converted to more buildings. Altogether, these factors provide a considerable limit on how much land can ever be built on in Great Britain. New technologies will change how much we could feasibly build, and cultural shifts will change how much we want to develop. Considering all this together, we know that not much of the UK is built on, but that does not mean the remainder can be used for more development.